Daniel Ibañez is a practising architect and urbanist, and founder and co-director of the design firm Margen-Lab: a transcalar targeted office invested in the developing more ecologically powerful and materially exuberant design. He holds a MArch from ETSAM in Madrid, a Master in Advanced Architecture from the Institute for Advanced Architecture of Catalonia, and an MDes in Urbanism, Landscape and Ecology with honours from the Harvard University Graduate School of Design where he was awarded the Dimitris Pikionis award for best academic performance. 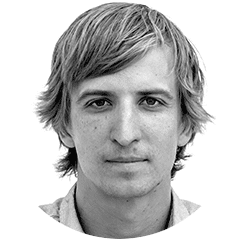 He is currently an instructor and Doctor of Design candidate at the Harvard GSD, editor of New Geographies, and researcher at the Harvard Office for Urbanization. Additionally, Daniel has been teaching at Rhode Island School of Design, and Northeastern University School of Architect. Daniel is editor several book publications, including New Geographies 6: Grounding Metabolism (HUP, 2014), editor of Third Coast Atlas (Actar, 2017) and the Wood Urbanism: From Molecular to Territorial (forthcoming, Actar, 2018). Also, since 2015, Daniel is an editor at urbanNext (urbanNext.net). His work as a scholar and practising architect has been recognised by the La Caixa Foundation, the Real Colegio Complutense at Harvard, the Venice Biennale of Architecture 2012, Oslo Triennale 2013 or the Boston Design Biennial 2017, among others.